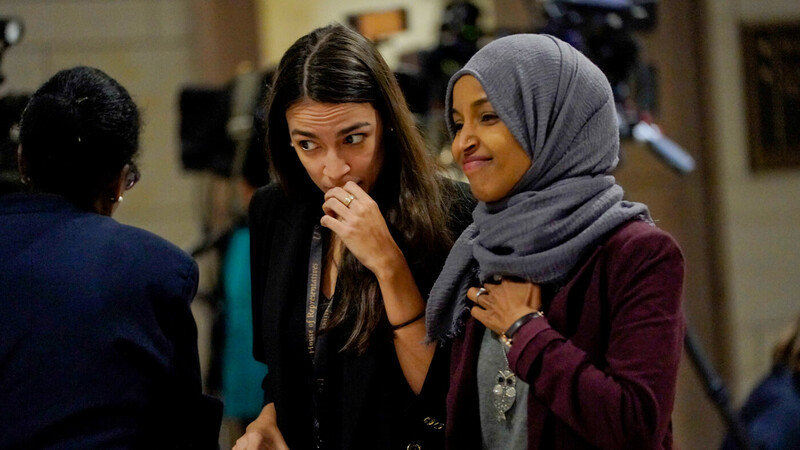 The Lady Axis of Socialism in the House of Representatives, Rep. Alexandria Ocasio-Cortez, (D-N.Y.), Rep. Ilhan Omar, (D-Minn) and Rep. Rashida Tlaib (D-Mich.), is running mad in Congress. They seemingly want to outdo each other with socialist calls for grabs of private sector money and other property. The latest: On Friday, Tlaib promoted and quoted a video calling for the government to use eminent domain to seize plants closed by companies like General Motors – and use those plants to create Tlaib’s “Green New Deal,” reports CNSnews. If a company like GM closes a plant, the government should “use eminent domain to take it back and use it for the people,” the video argues. These women, of course, don't have the voting bloc on their own (yet) to get legislation passed but they are setting the tone on part of the national conversation as evidenced by the many who jumped on board AOC's call for an increase in the marginal tax rate to 70%. Will Atlas shrug or will Atlas shuffle? Neither, Atlas will end up behind bars. Good, let em do it. When it fails, the fallout will be outstanding. Yellow vests with guns! Yeah and when you turn business against you ... then it gets real.